Our project endeavours to supply Lions Teddy Bears to all of the emergency services. These bears are used in times of stress and crisis, giving the officers something to pass on to our younger members of society. These children may have been the victims of crime, injured in an accident or be in a traumatic situation and looking for comfort. We all know how a cuddle can offer so much comfort. Our program has been running for 15 years now and was started by a Lions member after seeing a similar program during a visit to the USA. Being a police officer himself, he was very conscious of how desperately such a scheme was needed in Australia. Our current model remains very similar to the US program although we endeavour to include not only the Police. but other Emergency Services as well. The Lions Club adopted Operation Teddy Bear as one of their State Projects in 1989 and has been the proud facilitator ever since. We currently donate to a large range of Emergency Services namely - Victoria State Emergency Service, Victorian Police including the Sexual Offence and Child Abuse Units, Bail Justices, Children's Court of Victoria, Bone Marrow Donor Institute and the Air Ambulance Service throughout Victoria. In 2010, over 2500 bears found there way into the arms of little friends. The program is a most worthy cause and greatly assists the people in the above organizations that deal with very traumatic situations every day of their life. 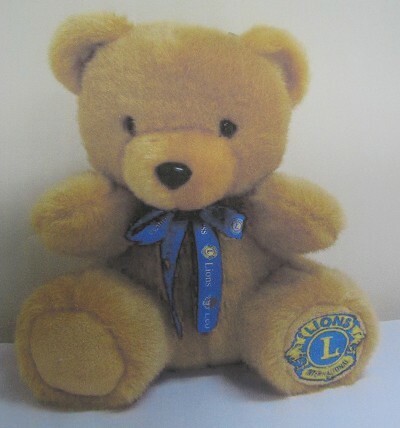 Contributions can be made directly to the Lions Club of Doutta Galla, and we distribute bears either directly to the Lions Crime Watch program, or we purchase bears from Lions Crime Watch and then distribute them directly to local Emergency Services. DONATIONS ALWAYS WELCOME! Contact us through our website Contact Us page; or at our postal address: Lions Club of Doutta Galla, PO Box 18, North Essendon VIC 3041.